Creative Writers of all kinds rely on inspiration and we never know when that will come. We can't sit at the computer from 9 to 5 and squeeze out great ideas. Despite audio recorders and laptops, we often end up with our "great" ideas scattered around on old scraps of paper, napkins and backs of envelopes. Enter WritePad!! 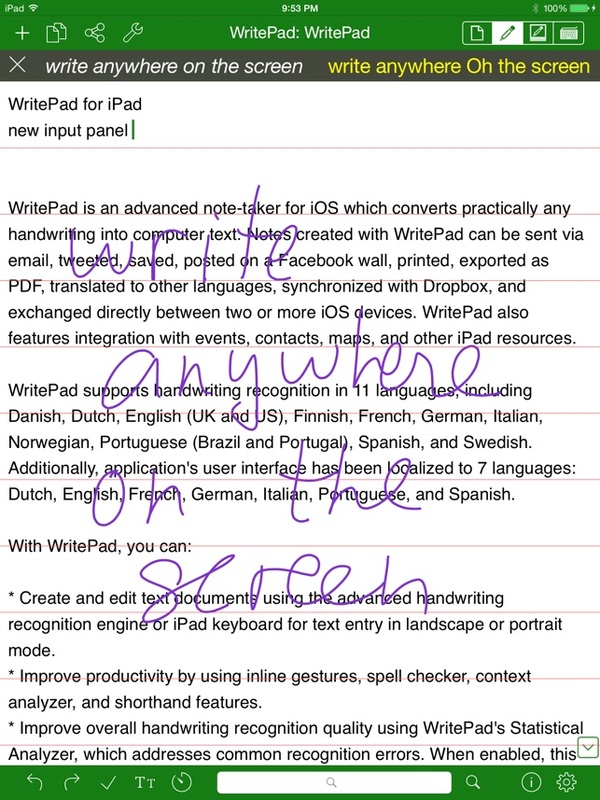 The handwriting recognition is superb. It will convert script, printing or a combination and it didn't take more than a few minutes to adjust to my handwriting. I prefer a stylus for speed but a finger works too. The only thing that keeps WritePad from being perfect is the lack of syncing. There is an incredible little iphone app called SimpleNote, which has real time syncing with several mini desktop apps (JustNotes is my personal favorite) and both sync with Google Docs. SO, whatever you add to any one of these is instantly updated on the rest. Nothing required from me but the initial setup. Amazing for those bits of info when you are not sitting at one computer all day long. BUT none have handwriting recognition. 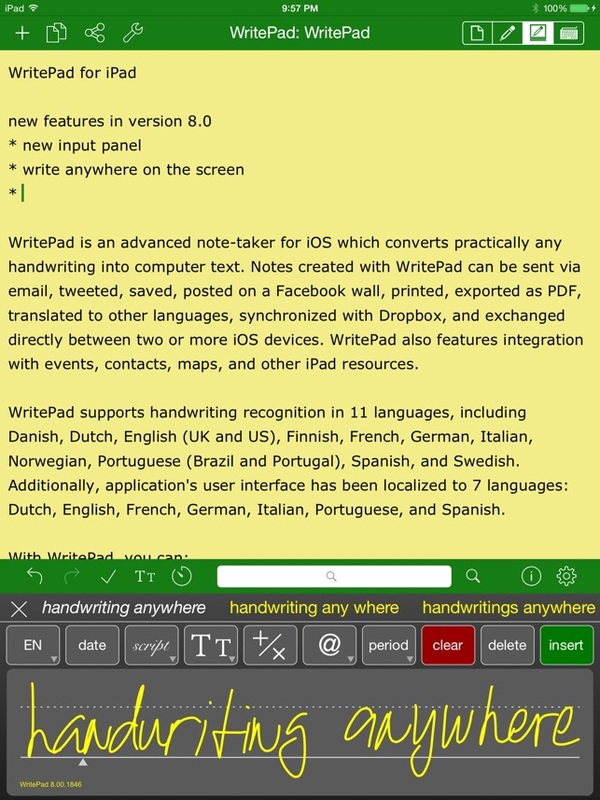 I know how to cut and paste and I can email my WritePad documents but I'm just saying... if WritePad had a companion menu bar app (for Mac please) OR would sync with any push service (like SimpleNote does), it would hands down be the best text editing app ever written to date. 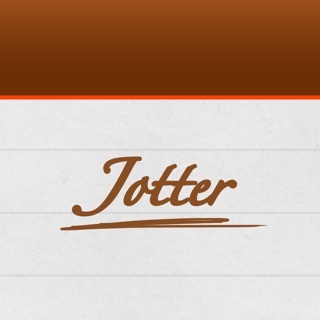 'Tm writing this review using the app, without correcting its mistakes. First, text recognition is accurate enough for many practical purposes, but is far from perfect, as I hope this illustrates. 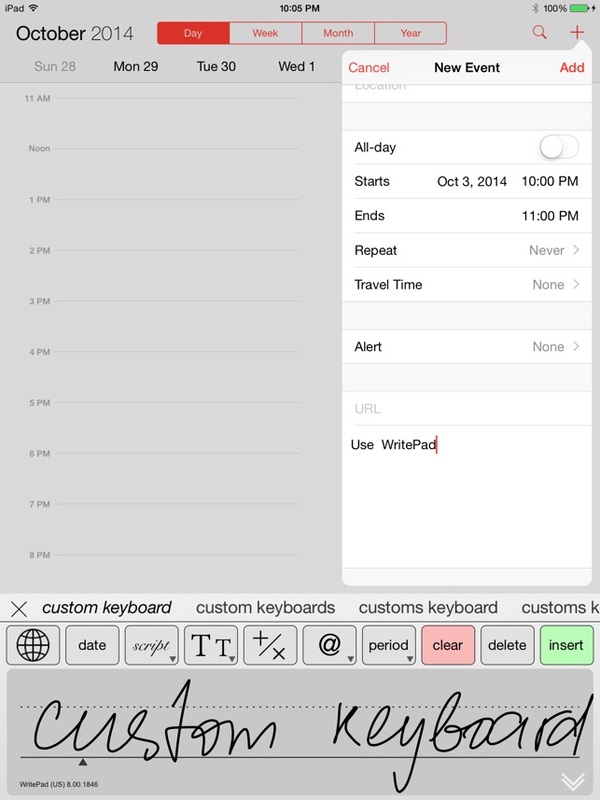 It would be usable for many more practical purposes if three changes were made: an auto advance feature while entering text in a detail area, The ability to save The written input, and The ability to delay the text recognition until a time chosen by the user, and without losing the written input. Ruse changes would turn The app into a notes app, similar to Note Taker Hd, but unhr handwriting recognition one advantage of these changes would be that enny of input would be much faster,fast enough to use The app for taking notes in classroom or similar setting OThe app is not currently usable for this purpose (I've tried.7 Another advantage would be that the app would be usable for situations Where the user might wish to retain the hand unhen input, such as personal notes or jour nailing. And it would be much better To be able to correct The inevitable mistakes later, with The original input as a guide, than To have jai choice of doing it on Hu fly which is palt of what renders The app unusable for many practical purposes, or doing it later, unen the original input is no longer available. Some of the Text translations are So wildly off that it cam be difficult to guess unat word was intended. 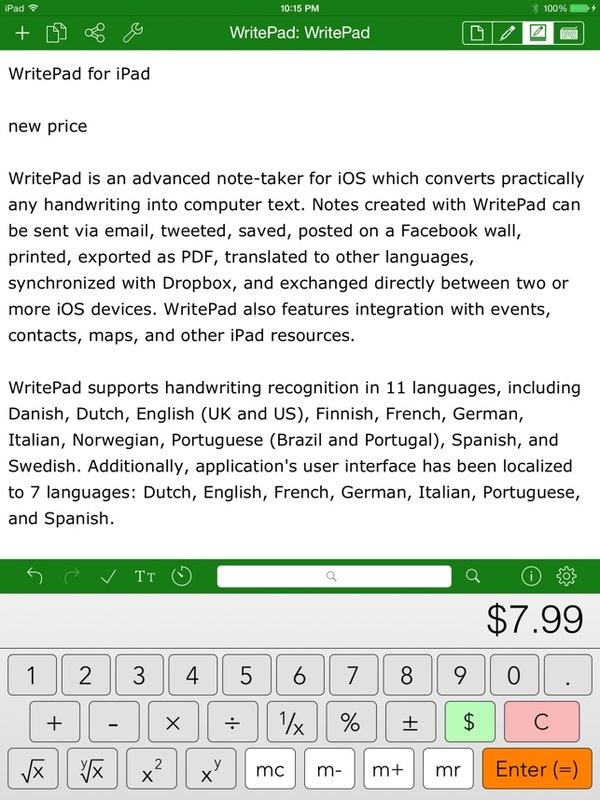 WritePad is a full featured great app that is worth the $9 price especially if you are not great at the keyboard. I thought this was the case for me so I timed myself writing a couple of sentences. Handwritten on paper it took me 1:19.9 minutes and seconds. The same sentence on WritePad took 2:16.4 with a number of mistakes as I was writing as I would on paper and not taking my time to form my letters carefully. On my iPad on screen keyboard 1:18.6 and on my separate Apple bluetooth keyboard 1:08.7. I was really shocked as I thought I could write by hand much faster than type on a keyboard. I was wrong. 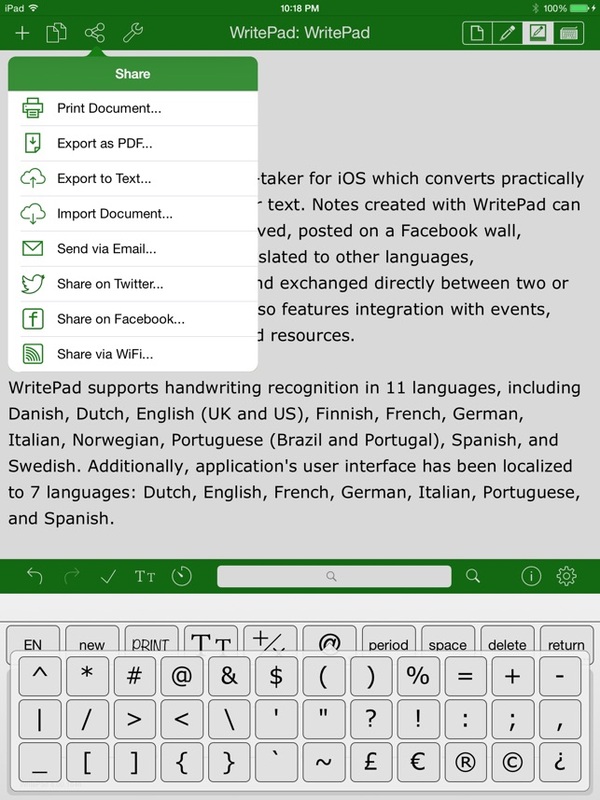 I do believe though that there will be times that I want to write on my iPad quickly when I am not in a position to keyboard with both hands on my iPad screen and this is when WritePad will come in handy. Great job with the software and I am amazed by all the export options and great help tools (which I rarely use in other software as it is usually so not helpful!) You guys have kept it both simple and highly functional. I look forward to it working one day with a "good stylus" that does not require pushing my fat finger into the screen like it looks like the "Blue Tiger" might turn out to be. Check it out and see if it will improve your user experience, I have no connections to them.